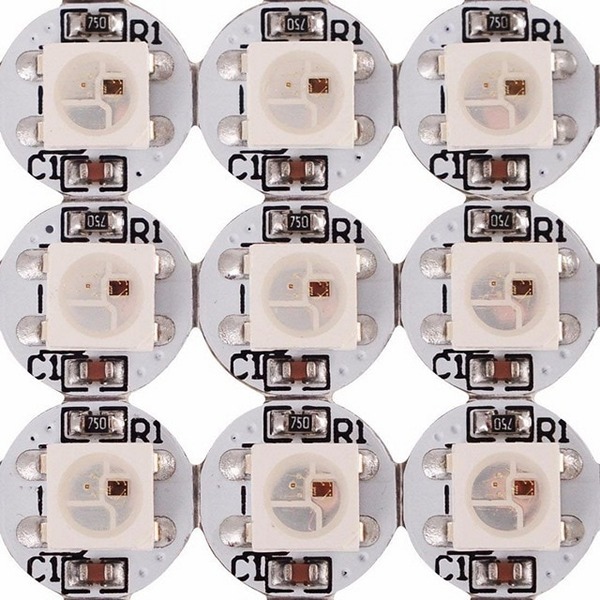 ‘Neopixel’ is the brand name of color LEDs (RGB or RGBW) that have a chip built in that makes them addressable, while they are connected to each other via just one data line. They can be found on the internet via several searches: Neopixel, addressable LED, WS2812 (the name of the built in chip). 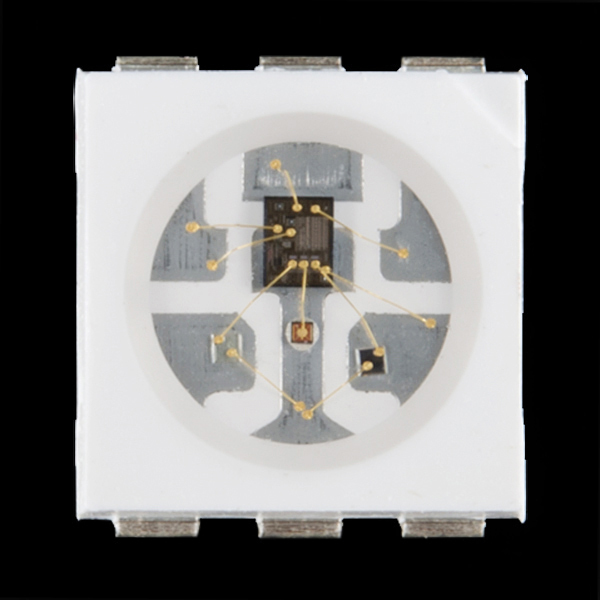 Prices are very reasonable at about €0,10 – €0,20 per LED. Click the images to enlarge. They are available in different form factors. LED strip, which can be cut to the desired length. 4, 8, 16 LEDs on a PCB strip, already electrically interconnected. Arrays of diferent sizes, already electrically interconnected. Circles of different sizes, already electrically interconnected. Individual LEDs that you break off and that you have to wire yourself (3 wires: GND, 5V, Data) with the lengths that you need in between. 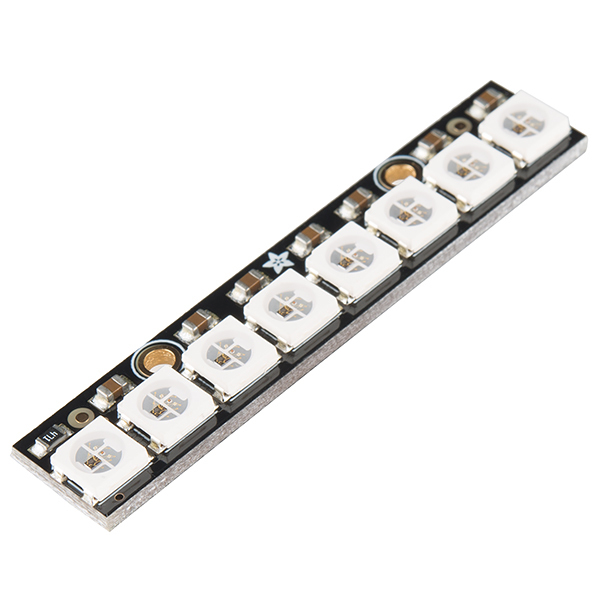 These breakout LEDs are ideal to light village houses on a model railway layout. Say you have a village with 10 or 20 houses … place one or two LEDs in every house, connect them with 3 wires and the big plus now is that all houses can be individually lit, with independent timing and with different colors and brightness. One house can have cool white light, another more warm, or yellowish, what ever you like … the village really comes to life with all these different timing, colors and brightness’s, just like real. And … all this is controlled with just one (yes, one!) Arduino output, connected to the Data line. 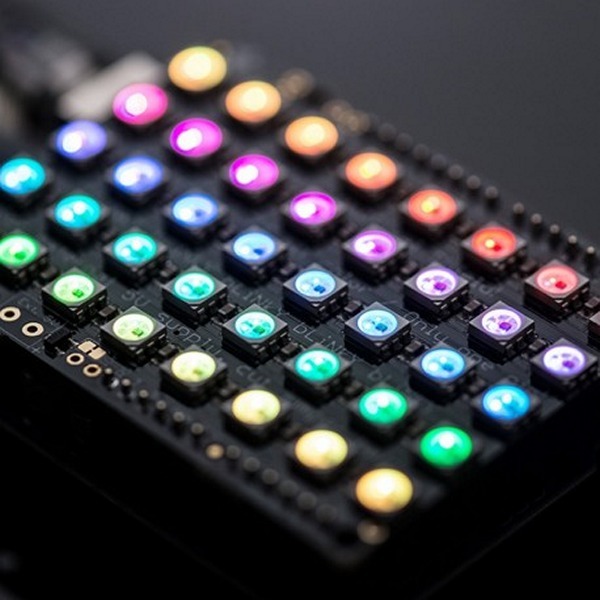 For the software we can use the step sequencer we made in the previous video, where we add the Adafruit Neopixel library and then add an RGB color per LED. For a police car flash light the interval time will be around 50 ms, but when we light houses we can make the interval time multiple seconds. With say 96 steps, we then have a multiple minutes day / night cycle. 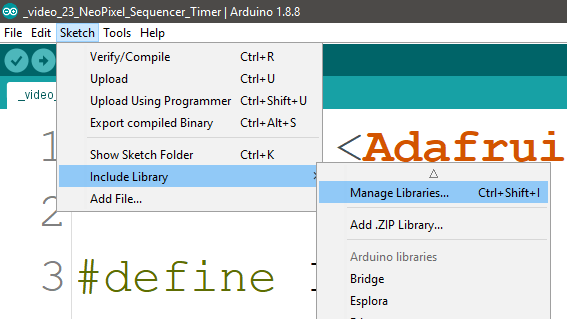 The Adafruit Neopixel library is not standard available, it needs to be downloaded and installed. The easiest way to do this is via the menu: Sketch > Include Library > Manage Libraries. Once there, do a search for neopixel and from the list of results select Adafruit Neopixel and click ‘Install’. It will now be downloaded and installed fully automatic. 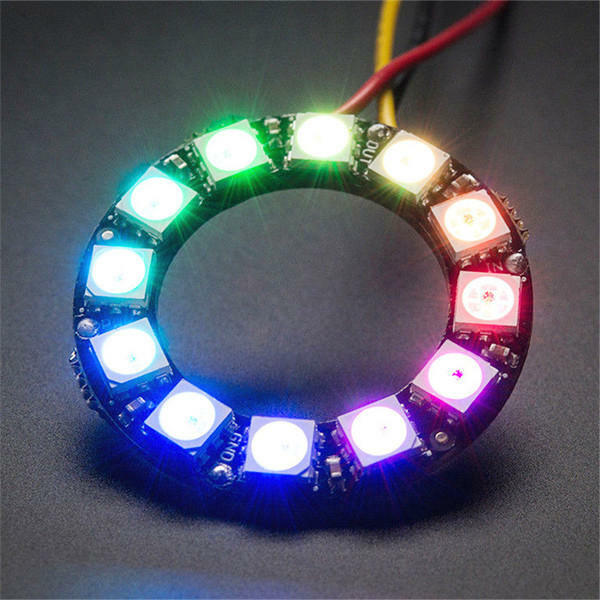 We can first prepare all the colors and brightnesses and then give one final neopixel.show(); instruction to write all the prepared RGB values to the LEDs. Note that he first LED in a Neopixel string has address 0. In the next video we’ll have a look at another Neopixel step sequencer … one where we make a list with actions like: LEDnr, R, G, B, time. That way we can specify which LED switches to which RGB color and then we have an interval time until the next action. We’ll have full control over our lighting, with very little code! Fun with Arduino 27 Rotary Encoder Recognize Slow or Fast Rotation.